Los Altos Robotics is dedicated to providing the opportunity for our children to challenge themselves and experience the joy of building and programming robots. Los Altos Robotics supports youth robotics programs. This web site is primarily dedicated to programs for elementary school to middle school, such as VEX IQ and FLL. Further information on the other programs we support - Botball and FIRST High School Robotics - can be found through their respective links below. VEX IQ is for Elementary and Middle School students (age 8-14). The VEX IQ challenge is announced in May and tournaments usually run from October through February. Los Altos Robotics hosted a VEX IQ tournament for 24 teams on December 3, 2017 at Blach Middle School. See the VEX IQ section of this web site for more information. FIRST LEGO League is for fourth grade through 14 year olds. The fall season runs from September through November. Los Altos Robotics is not hosting any FLL Events in 2016. Botball is for Junior High and High School students and takes place in the Winter and Spring. FIRST High School Robotics is for High School students and also takes place in the Winter and Spring. The FIRST FLL regional affiliate, Playing At Learning , coordinates Northern California FLL with over 250 teams every year. In addition, they run other smaller robotics programs such as FIRST Tech Challenge and JR. FLL. To stay updated on robotics activities by Los Altos Robotics, please join the TigerBots email group. To subscribe, simply send email to: TigerBots-subscribe@yahoogroups.com. Please include a brief description of why you want to join the email list in the body of your message. You can use any subject line that you would like. Start planning for the annual VEX IQ Challenge, presented by the Robotics Education & Competition Foundation. The VEX IQ Challenge provides elementary and middle school students aged 9 to 14 with exciting, open-ended robotics and research project challenges that enhance their science, technology, engineering, and mathematics (STEM) skills through hands-on, student-centered learning. Los Altos Robotics will host an informational meeting for parents about the new VEX IQ Challenge and how to form teams. The meeting will be on Tuesday August 22, 2017, 7:30pm-9pm in Room 522 of Mountain View High School, 3535 Truman Ave., Mountain View. Here is a campus map. Come join us to learn more about the program and network with other coaches/parents. The 2014 FLL season was great. Visit the season results and further details for prior seasons. Check out our FLL History page for what happened in past seasons at Los Altos and in NorCalFLL tournaments. We also have history of prior years including some videos. Most robotics teams have fun, work hard, learn a ton, and demonstrate gracious professionalism. A few of our local area teams have also been fortunate enough to be recognized at some of the major state and national robotics tournaments. The Los Altos Robotics State and National Team Award Page recognizes those teams and we hope inspires future teams. 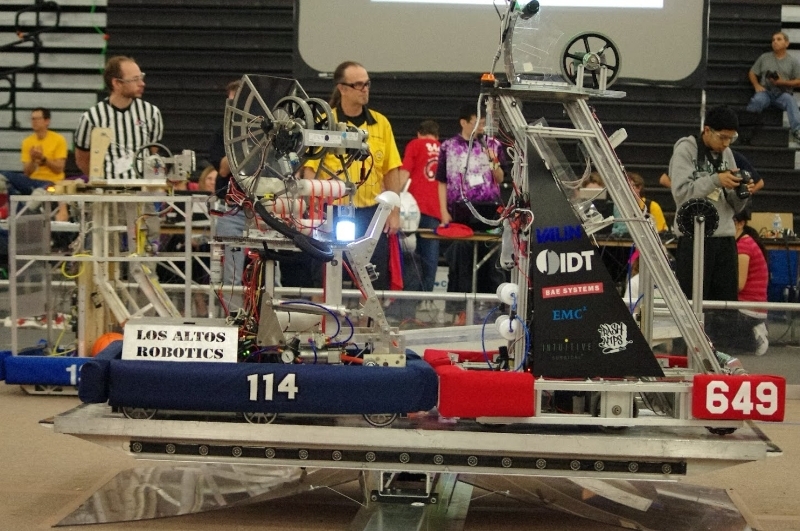 Los Altos Robotics was formed in 2004 to organize and promote robotics activities in Los Altos and surrounding areas. Los Altos Robotics board members have organized FLL robotics scrimmages and tournaments in Los Altos from 2001 to 2014. This organization now contains a board of about 10 dedicated volunteers. If you want to volunteer, send one us an email and/or come to a board meeting. Meetings are open to the public. 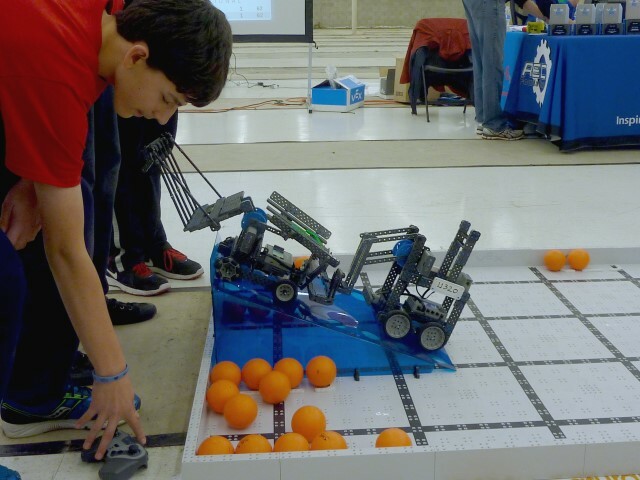 Click here to see the Los Altos Robotics board and a list of the upcoming board meetings. The TigerBots email list is used for all Los Altos Robotics announcements. See the TigerBots email list page for more information and how to subscribe to it. Visit our Facebook community page (LosAltosRobotic) for announcements and updates. For general questions, comments, or suggestions, please email Webmaster LosAltosRobotics.Org. The Los Altos Robotics web site join and log in account is intended only for coordinators. If you are currently a member of the TigerBots email alias, you will receive the information you need in your email. If you have an account, you can login here and logout here. While you are logged in you can change your password with the password_form. If you have forgotten your password, the system will not be able to send it to you by email. You will have to contact an administrator (Michael Schuh) to have it reset.